Nekhrah – “Nekhrotise” from album “Cosmic Apostasy”. 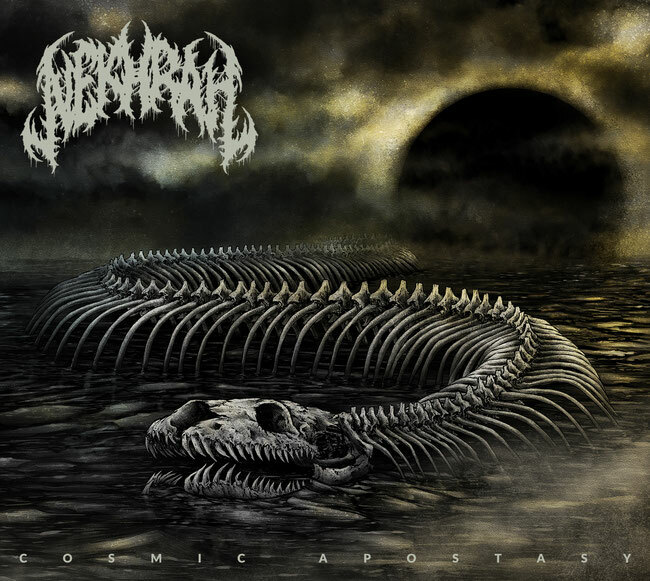 Nekhrah have recorded and released their first full-length album entitled “Cosmic Apostasy” which was mastered by Alan Douches of West West Side Music and subsequently self-released. The philosophy behind the band is Nihilistic. That is to say, the belief that existence is meaningless and that there is no inherent meaning in anything we do, think or experience. The lyrics revolve heavily around misanthropy, cataclysm, self-destruction and a desire of non-existence. The album “Cosmic Apostasy” includes the song “Nekhrotise”.